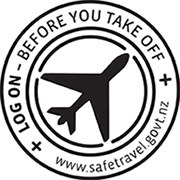 New Zealanders travelling overseas should continue to use common sense, exercise caution and be vigilant. They should look out for and report suspicious behaviour, as they would in New Zealand. New Zealanders should continue to monitor the media and other sources for information about possible new safety or security threats, and follow the advice of local authorities. New Zealanders should also continue to avoid demonstrations and protests, as they can turn violent. New Zealanders seeking information about specific destinations should read our individual advisories, which are regularly reviewed.